The G.H. Hüller company was founded by Gottlob Hermann Hüller in 1878 and started manufacturing saxophones in the early 1920s. The company was located in Schöneck, Germany. Like the Holton company’s Rudy Wiedoeft models, some early models G.H. Hüller built had a D resonance key, (D-Resonanzklappe). This resonance key was coupled together with the low C key, and was designed primarily to help reduce the stuffiness of D2. During the 1930s, G.H. 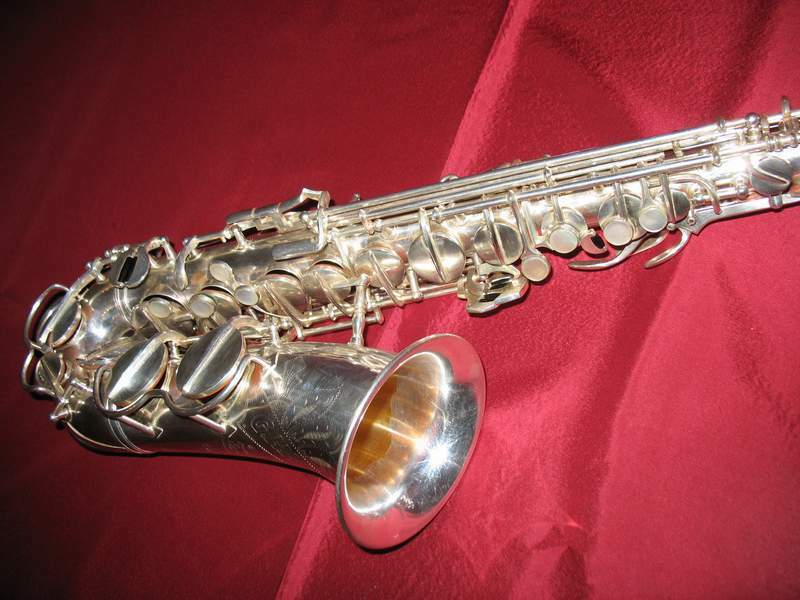 Hüller could have been described as the largest saxophone manufacturer in Germany. At the time they were building more saxophones than Adler. G.H. Hüller models at the time were the: Imperial, Artist, Olymp, and Orpheus. After the Second Word War many of G.H. Hüller’s horns were sent to the Soviet Union as part of Germany’s war reparations. In 1947 the company was in part nationalized. Then in 1975, the nationalized firm of VEB Holzblasinstrumente Schöneck—which was founded in 1972, and that the original G.H. 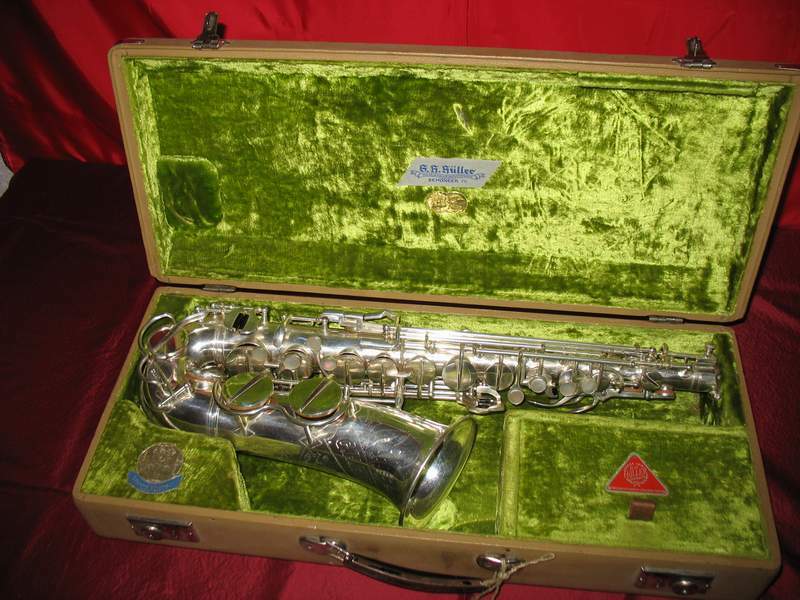 Hüller was now part of—was integrated into VEB Blechblas- und Signal-Instrumente, and saxophone production carried on. In 1991, when VEB Blechblas- und Signal-Instrumente became Vogtländische Musikinstrumentenfabrik GmbH (B&S/VMI), the G.H. Hüller brand was abandoned. Check out the G.H. Hüller Gallery for a look at some of these unique and relatively rare German saxophones. Note: The main source of information for this page is from Uwe Ladwig, in der deutschen Fachzeitschrift—German music journal—SONIC sax & brass. The other source were the posts by Dr. Enrico Weller, in the Forum des Musikinstrumentenmuseums Markneukirchen. Dr. Weller is the author of a book about the manufacturing of wind instruments in the Vogtland region of Germany.